Home / Bitcoin Blogs / What is Cryptocurrency Used For in 2019? What is Cryptocurrency Used For in 2019? Many people who have heard about cryptocurrencies still have questions about what exactly they are used for. Wrapping your mind around how Bitcoin works is one thing, but understanding all the possible use cases for the 1000+ other cryptos and altcoins is an entirely different animal. In this article we’ll be breaking down all the different use cases for cryptocurrency networks and their underlying blockchain systems. Once you have a grasp on what cryptocurrencies are used for, you will be well on your way to understanding the potential of the industry. The most obvious use for cryptocurrencies is that they can be exchanged for physical goods and services. The first ever cryptocurrency transaction happened when two users of the BitcoinTalk.org forum exchanged 10,000 bitcoins for a couple of pizzas. After that, merchants slowly began adopting the technology. Some stores were illicit, such as drug dealers on the now-defunct Silk Road. 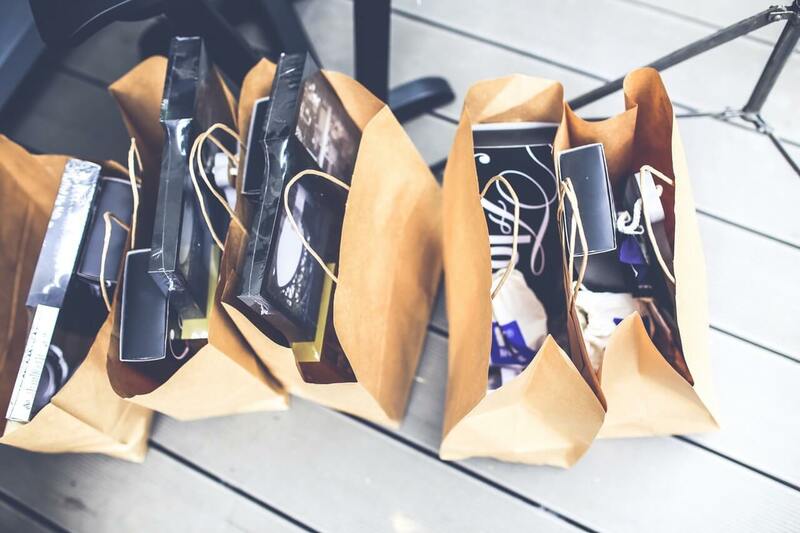 Others were simply ecommerce stores looking to attract a new customer-base like Overstock.com in 2014. Brick and mortar stores have joined the fray as well. Companies like BitPay and Coinbase offer simple solutions for merchants to accept in-person Bitcoin transactions. As of December 2017, CoinTelegraph estimates that there are 11,291 brick and mortar businesses that accept bitcoins. If you are looking for a comprehensive directory, SpendBitcoins.com is a great resource and includes listings for everything from lawyers to doctors. Coinmap.org also features over 14,000 venues around the world. 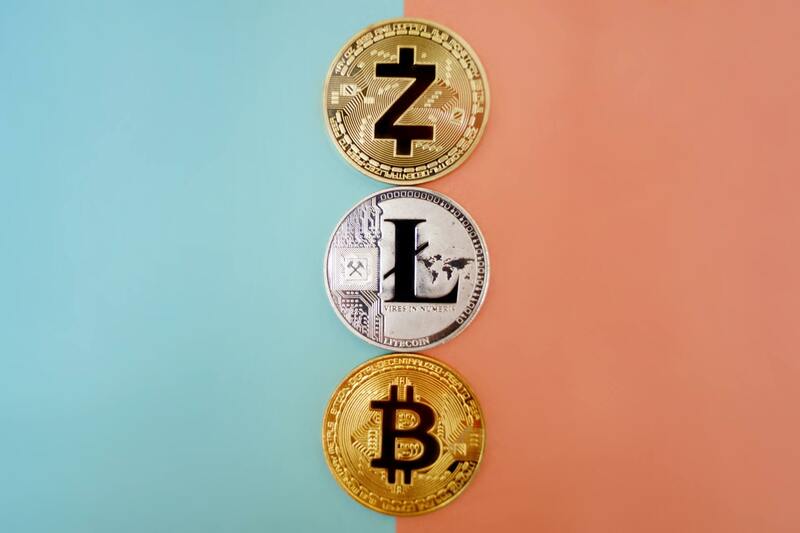 While Bitcoin continues to be the dominant cryptocurrency for the payment of goods and services, plenty of other altcoins are accepted around the world as well. Ethereum, Litecoin, Dogecoin, Dash, and more all have thriving communities of businesses that consider them to be worthy of acceptance. While there is still a long ways to go before crypto is considered “widely used” for goods and services, there is no doubt that this remains a primary use case. The long-term trend for businesses that use cryptocurrencies continues to be upward. We’re proud to offer Bitcoin and altcoin payment options for every product sold on Cryptocurrency Posters. Maybe the most common use case for cryptocurrencies at the moment is that they can be traded for other coins. Crypto aggregator CoinMarketCap lists over 2000 coins and the large majority can only be purchased with Bitcoin or other cryptocurrencies. And, while some coins like Ethereum are also available for purchase directly with fiat currencies such as the U.S. dollar, this ability is often only available after they have already been established. If you’re looking to find the next “big” altcoin before it gets popular, it is very likely that buying it with a more established cryptocurrency will be your only option. Coinbase: Good for buying and selling Bitcoin, Ethereum, Litecoin, Bitcoin Cash, and Ethereum Classic with a bank account or debit card. They also have a more traditional exchange (GDAX) for advanced traders. Binance: Cryptocurrency-only exchange with a large volume of users and wide variety of coins. They also feature their own coin (BNB) which reduces fees and offers innovative profit incentives. Changelly: Quick and simple exchange that offers fast movement from one crypto to another. Exchange widget for 3rd party websites and a payment function as well. They also offer the ability to buy bitcoins with a credit card. Beyond simply buying and selling other cryptocurrencies, there is also a burgeoning field of digital asset sales. This includes art, data files, and even (theoretically) operating systems that are stored within smart contracts. As blockchains continue to develop and attract innovation, this asset economy may produce some of the most exciting future use cases for cryptocurrencies. Just remember, if you’re dealing with the purchase or sale of any type of crypto assets, it’s highly recommended that you consult a cryptocurrency tax accountant when it comes times to review your taxes. 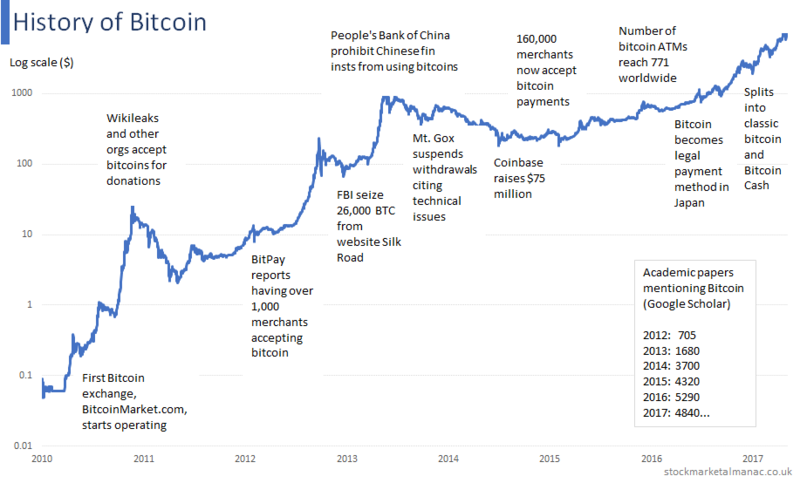 While some may argue that cryptocurrencies are too volatile to be a store of value, the reality is that it the oldest coin (Bitcoin) has succeeded in holding a non-zero monetary value since July 2010. The graph above shows just how far the journey has come since then. When people are looking for a store of value, they generally want something that will maintain currently value or increase. People who have trusted Bitcoin as a long-term store of value have generally been rewarded with impressive increases in value. There is no guarantee this will continue, but the Bitcoin network has proved up to this point that it can be relied upon to hold some value. Of course, when you investigate beyond Bitcoin the “store of value” argument for cryptocurrencies in general can be tenuous. There is no shortage of failed projects in the crypto space and for every legitimate project that succeeds there are usually ten more where many supporters are likely to lose their investment. But it’s important to weigh all alternatives when investigating the use of cryptocurrencies as a store of value. While most citizens in developed countries have access to reliable fiat currencies such as the U.S. Dollar or British Pound, much of the developing world has no such luxury. Citizens of countries like Venezuala have seen their savings erased by the poor monetary policy of their governments. 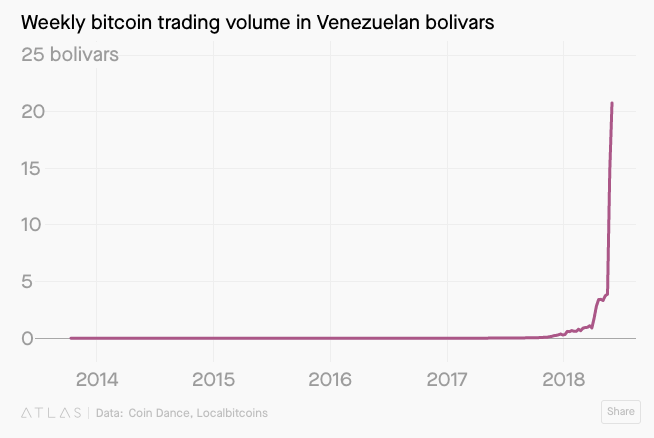 This article contains the graph below and outlines how Venezuelans are turning to cryptocurrency as a solution for hyperinflation. Storage without a custodial 3rd party: Since cryptocurrencies only exist as an entry in a distributed ledger, you do not need to rely upon a specific 3rd party (like a bank) to store your wealth. Anonymity: With a little work, it’s fairly easy to guarantee your anonymity when sending and receiving crypto transactions. This is appealing if you are concerned that your wealth may make you a target for theft. A predictable supply: Most cryptocurrencies have a public supply schedule. Bitcoin specifically has a controlled supply that is designed to never exceed 21 million individual coins. This means that users do not need to worry about an increasing supply of bitcoins reducing the value of their own coins. 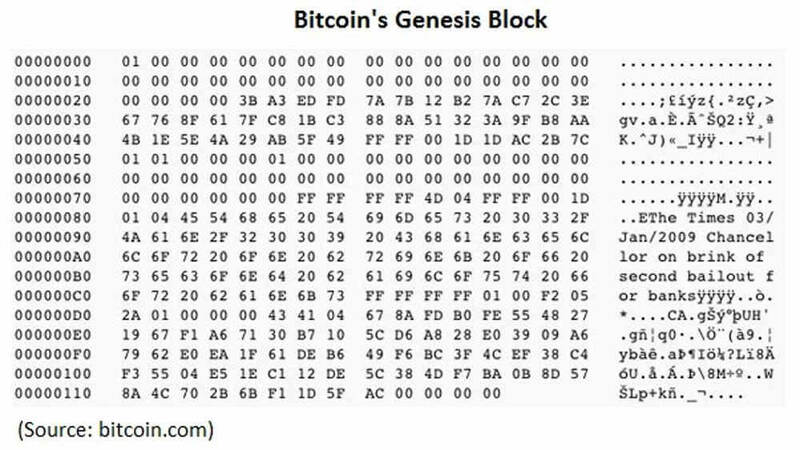 This was probably intended as proof that the block was created on or after January 3, 2009, as well as a comment on the instability caused by fractional-reserve banking. Additionally, it suggests that Satoshi Nakamoto may have lived in the United Kingdom. This detail, “second bailout for banks” could also suggest that the fact a supposedly liberal and capitalist system, rescuing banks like that, was a problem for satoshi . . . the chosen topic could have a meaning about bitcoins purpose. In July of 2017 a paper from Augustana College was published titled Data Insertion in Bitcoin’s Blockchain. Within, it provides a comprehensive survey of methods for inserting arbitrary data in Bitcoin’s blockchain. It also compares them on the basis of efficiency, cost, convenience of data reconstruction, permanence, and potentially negative impact on the Bitcoin ecosystem. While Bitcoin’s usage for data storage can be rather obtuse, more advanced blockchain continue to be developed. Ethereum has pioneered utilizing blockchain technology to run distributed applications and Sia is the most developed blockchain completely devoted to pure data storage. The biggest benefit of storing data on cryptocurrency blockchains such as these is that your information cannot be censored. As long as proper fees are paid to utilize the blockchain, the data is accepted and cannot be erased moving forward. Bitcoin is far more than just a digital currency and has numerous use cases that are not apparent at first glance. 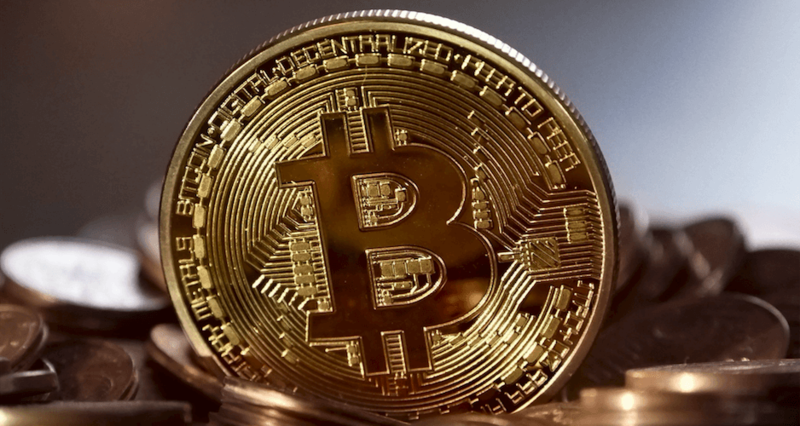 Furthermore, as technologies are developed on top of the blockchain such as the Lightning network, it’s reasonable to assume that new uses for Bitcoin will continue to develop. Feel like we missed a use case? Reach out on a Twitter via @postersofcrypto and we’ll get it added to this article.